WATCH: Milla Jovovich Rewinds all RESIDENT EVIL Films in 2 Minutes! 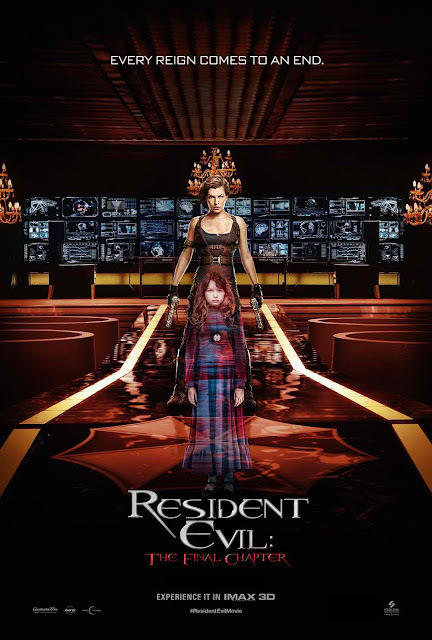 "Resident Evil: The Final Chapter" picks up immediately after the events in "Resident Evil: Retribution", in which Alice (Milla Jovovich) is the only survivor of what was meant to be humanity’s final stand against the undead. Now, she must return to where the nightmare began – The Hive in Raccoon City, where the Umbrella Corporation is gathering its forces for a final strike against the only remaining survivors of the apocalypse. The film also stars Ali Larter as Claire Redfield, Iain Glen as Dr. Alexander Isaacs, Shawn Roberts as Albert Wesker, Australian actress Ruby Rose as Abigail, Eoin Macken as Doc, Cuban-American actor William Levy as Christian; Fraser James, as Michael, and Japanese model and TV personality, Rola, as Cobalt. "Resident Evil: The Final Chapter" is distributed by Columbia Pictures, the local office of Sony Pictures Releasing International and opens February 1 nationwide.